When Dr. Marian Luctkar-Flude was in nursing school, she, like most other students in her generation, would practice giving injections on oranges and learned how to find veins by using the arms of her classmates. In the past fifteen or so years, though, teaching methods have changed drastically thanks to the rise in simulation-based education. Now, nursing students at Queen’s and many other universities in the country work with a series of training devices, ranging from partial-task trainers to full-bodied computerized mannequins, to learn foundational skills for the profession, such as taking blood, performing cardiac resuscitation, and communicating as a member of a team. And Dr. Luctkar-Flude has played a significant role in the increasing sophistication of simulation pedagogy in nursing curricula, first at Queen’s and, more recently, across Canada. 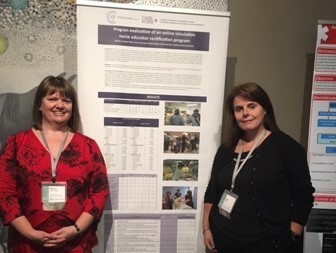 Recently, she has worked with a group to develop the Canadian Certified Simulation Nurse Educator (CCSNE) exam and course, which is the first simulation certification program for nurse educators in Canada. CCSNE is run through the Canadian Association of Schools of Nursing (CASN), and it aims to provide educators with an understanding of how they can most effectively employ simulation training in their courses. The certificate that learners receive upon passing the exam is also the first credential of its kind in the Canadian nursing community. As the first cohort to complete the online preparatory course just wrote the exam in March, CCSNE is starting to make a real impact on nurse education in Canada. And that impact is truly widespread: the course had participants everywhere from B.C. to southern Ontario to Nunavut. Looking back on her own experiences with simulation training, Dr. Luctkar-Flude sees that she and the field have both come a long way. As far as the story of simulation at the Queen’s School of Nursing goes, Dr. Luctkar-Flude was there from the very beginning. In 2005, the government of Ontario gave nursing schools in the province funds for simulation equipment, and Dr. Luctkar-Flude remembers opening the box of the first simulator that Queen’s procured. While she was excited to start using the new teaching materials, she realized that she could use some specific training to understand how best to use these new tools. Dr. Cynthia Baker, the director of the School of Nursing at the time, supported Dr. Luctkar-Flude’s goals and provided her with funds to undergo training in simulation pedagogy. Since that time, she has been very involved in implementing and expanding simulation in the Nursing program at Queen’s. We now have 3 labs in the Patient Simulation Lab located in the Cataraqui building, which are almost always busy, and students in all years of the undergraduate nursing program use simulation. And students from different schools work together on interprofessional training exercises in scenarios related to fields such as obstetrics and pediatrics. 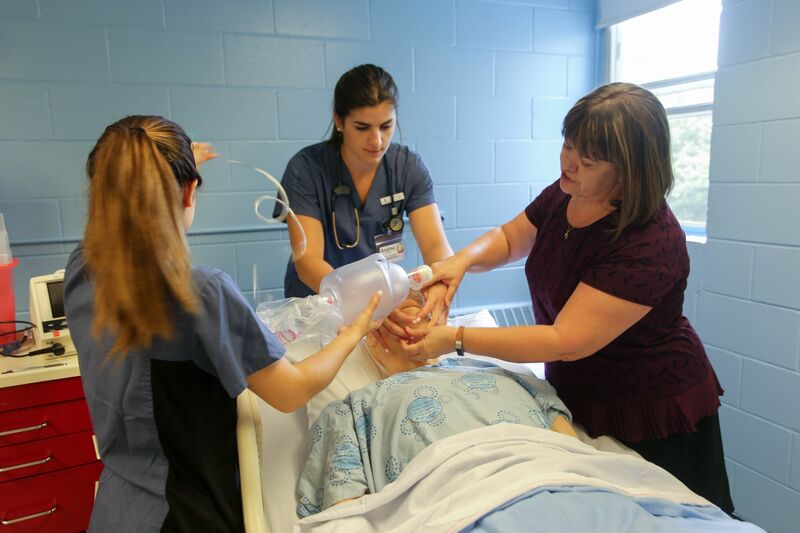 Nursing students gain many valuable competencies through simulation, from basic clinical skills to knowing how to respond to different codes at the hospital. Dr. Luctkar-Flude remembers that when she was starting her career as a nurse she had to learn to respond to such codes in the moment, with no prior training other than basic CPR certification. The more work she does on developing simulation curricula, the more that Dr. Luctkar-Flude believes in its benefits. 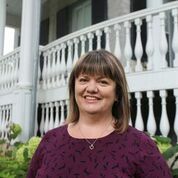 That is why – in addition to helping to develop the CCSNE – she has co-created The Canadian Alliance of Nurse Educators using Simulation (CAN-Sim) along with Dr. Jane Tyerman, who received her PhD in Nursing from Queen’s and currently holds a faculty position at Trent. CAN-Sim is a network of nurse educators who promote excellence in simulation education and research. Through easily accessible resources like webinars, videos, and sample virtual simulation games, CAN-Sim aims to help educators generate ideas for how to incorporate simulation into the classroom and give them an understanding of current best practices. CAN-Sim connects educators and researchers in order to promote collaboration and exchange of ideas. On the CAN-Sim website, nurse educators can find video-based virtual simulation games for a variety of clinical scenarios and educational purposes. Some of the games on the site help to better prepare students for a live simulation session in the lab, for instance, while others can be used in lieu of a lab session. And they teach learners how to handle conditions such as urosepsis and respiratory distress. Dr. Luctkar-Flude has played an active role in creating these games, doing everything from developing the scenario to filming the video with a Go Pro camera. Dr. Luctkar-Flude (first on left) working on filming a virtual simulation game. It’s so great to see the way in which Dr. Luctkar-Flude has become a true leader in the community of Canadian nurse educators practicing simulation. The rise in simulation pedagogy has been one of the most important recent developments in health sciences, and I’m proud that Queen’s has been able to be at the forefront of the field thanks to dedicated faculty like Dr. Luctkar-Flude. Do you have any thoughts about simulation and how it has changed health sciences education? Or any thoughts on where simulation might be going from here? If so, please leave them in the comments below. Or better yet – stop by the Macklem House. My door is always open. Richard, thanks for featuring leaders in simulation pedagogy in the School of Nursing . My mother and wife both were KGH-trained nurses long before simulation technology emerged. Just as I was impressed with the benefits of simulation-teaching at Queen's Medical School during a reunion visit, I think doctors and nurses now can enter clinical practice better prepared for the challenges they will face. Their mentors will have greater confidence in their students' skills and their patients will be better cared for. If I have any concern about simulations being a growing part of current/future medical education/training, it is that experienced-clinician supervised hospital/clinic/office interactions with real patients might be short-changed. In my parent's/wife's/my day, Queen's medical/nursing preparation was A+ because of anticipating/recognizing/addressing patient needs in a personal, compassionate way. That was the art of medicine before the ongoing progress of technology medicine. Difficult balance but Queen's seems to be addressing both, for which I am very proud. Thanks as always for your comment, Bill. And thank you for your words of encouragement about our uses of simulation.